A little dog was rescued by firefighters in the Tolleson suburb of Phoenix, Arizona, on Wednesday after spending the night with its head stuck in a small opening of a brick wall. A neighbour called a local TV station to report the dog named Chip was stuck in the wall and photojournalist Daniel Clark alerted authorities. Police and firefighters from the Phoenix and Tolleson fire departments, and workers from the Arizona Humane Society arrived to assist in the dog's rescue. Fire officials chipped away at the wall to free Chip. 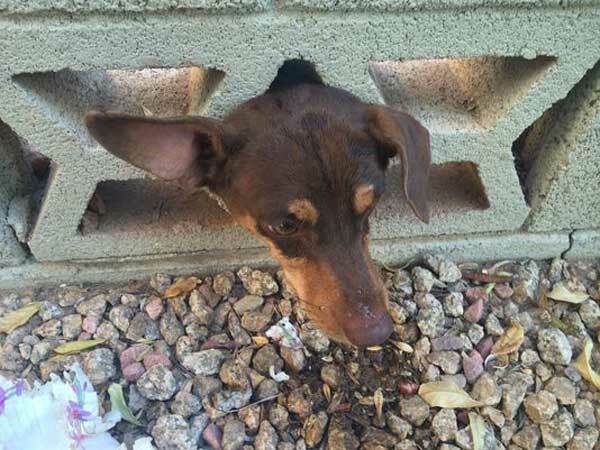 When authorities arrived, the dog's owner came out of the home and said she was unaware Chip was stuck and had spent the night trapped in the wall. Why would the neighbour call the news station instead of the humane society?